Millions of animals, mainly goats, cows, buffaloes, lambs, hens, camels and lambs are being killed every year around the world in the name of animal sacrifice to God. It is difficult to fathom how they can make God happy with an act of cruelty. Every religion is beautiful and teaches us to do acts of kindness, peace and brotherhood and it is beyond comprehension how divinity supports shedding innocent blood! 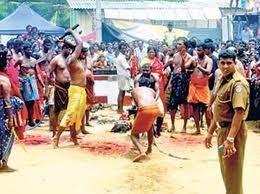 It is apparently very clear that these barbaric rituals are man-made for the sole purpose of feasting on different types of meats. God has never asked anybody to kill a voiceless animal to make Him happy. 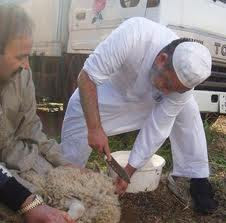 In many countries they have laws which forbid citizens from sacrificing animals for religious purposes, but these laws are hardly implemented as they are opposed by different sections of society on one pretext or the other. As a result, innocent animals keep on dying a violent death for no fault of theirs. There are people living in difficult geographical areas, who have to eat meat as they do not have any other alternative for food. We can not do anything about animal killings in such cases, but where people are well off and have many options for food, eating meat is done only for taste, and must be avoided. Animal Sacrifice in the name of religion must be stopped immediately. It is clearly an act of utmost cruelty which, ultimately, destroys the feelings of compassion in human beings. Animals came to this world even before humans and we must be friendly and protective of them. We need them to save our environment, thus, ultimately to save ourselves from certain death and destruction. We can not claim to be ‘humans’ and possess characteristics like kindness, compassion, truth, honesty and loyalty, while we continue killing innocent and voiceless animals in the most inhuman way. We need to save these animals from this extreme cruelty, and appeal to all animal lovers to raise a voice and act against all the people who subject animals to torture and death !